You've got a car parking business and no website yet? 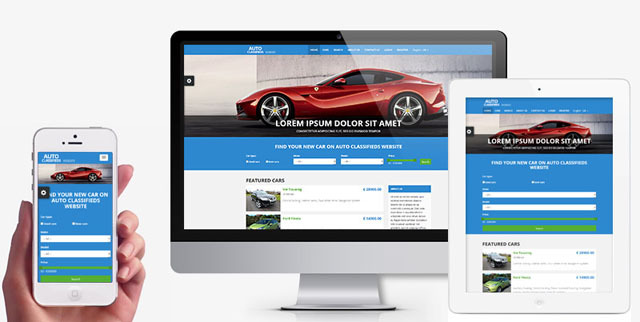 VEVS Website Builder can help you start your online venture quickly and affordably. We offer a tailor-made web solution exactly for your business. Our Car Parking Websites are equipped with an advanced parking reservation system enabling you to manage park spaces, bookings, extra services, price rates and discounts, and process various types of payments. All types of custom modifications are possible upon request. 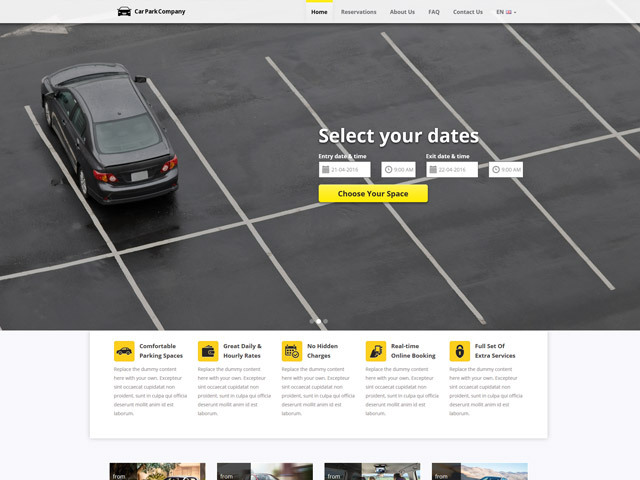 You can launch your car park booking website in less than 48 hours. Our Car Parking Websites have a vivid, modern and responsive design. You are free to choose and change your website’s color theme and style as many times as you want – 10 different options are allowing you to synchronize it with your brand identity. Your customers will enjoy the easy site navigation, the fast loading pages, and enhanced functionality. We have done the technical SEO and provided simple tools for independent content optimization so that you can add meta titles and descriptions on your own. Manage all texts, titles, images and multimedia on your website through the smart content management system (CMS). 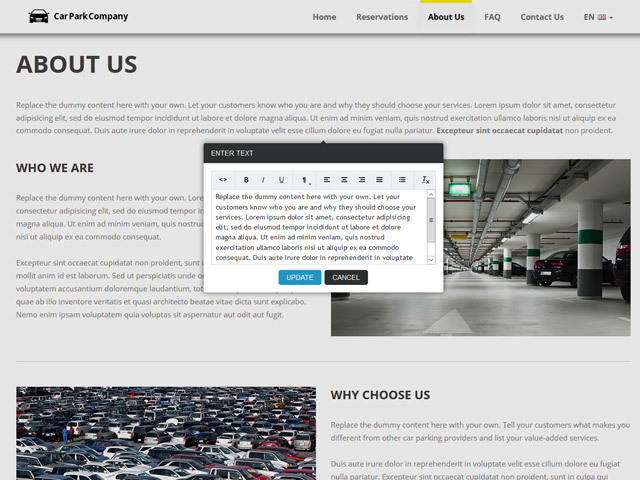 Enable the frontend editing tool from your Car Parking Website’s admin page and make the necessary changes with just a few clicks. Rename text content, add and replace images, change color themes and page layouts – you can customize your website anytime. Add different park space types and extra services. Define regular prices, price base, and special discounts. Manage and monitor park space bookings in real time. Set your preferred payment methods, process online and offline payments. Enable and personalize SMS and Email notifications to clients and admins. Add different types of users with different access rights. You can also translate your website into any language and make detailed language settings. Initial setup, content upload, hosting, domain, backup, and technical support – we’ve got it all covered! 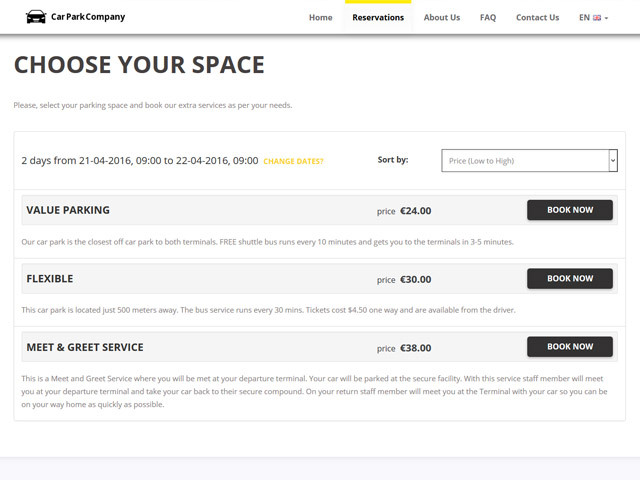 VEVS car parking reservation system allows you to manage the whole booking process. It is a self-serving online booking system and your customers can make reservations and payments online. System administrators can manage prices, discounts, park space types and reservations. VEVS Car Parking websites come with trendy and stylish look, adjustable to your brand identity. It offers 10 different color themes, 5 switchable layouts for each web page and quick links to your social media profiles. You can easily add, edit and delete all your text and images with the VEVS Website Builder. Use the advanced content management system to rename menus and buttons or to set custom meta tags on all pages. We have thought about everything. You can edit your contact form, send e-mails and SMS alerts to all users and customers, manage your SEO. We host and support your website and provide custom modifications. You can use your domain name, or we can get one for you.